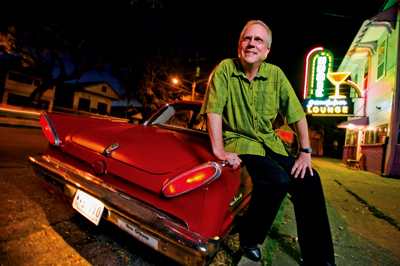 American Routes is a weekly two-hour public radio program produced in New Orleans, presenting a broad range of American music — blues and jazz, gospel and soul, old-time country and rockabilly, Cajun and zydeco, Tejano and Latin, roots rock and pop, avant-garde and classical. The show explores the shared musical and cultural threads in these American styles and genres of music and how they are distinguished. The program also presents documentary features and artist interviews. Our conversations include Willie Nelson, Tom Waits, B.B. King, Dr. John, Dave Brubeck, Abbey Lincoln, Elvis Costello, Ray Charles, Randy Newman, McCoy Tyner, Lucinda Williams, Rufus Thomas, Jerry Lee Lewis and many others. Join us as we ride legendary trains, or visit street parades, instrument-makers, roadside attractions and juke joints, and meet tap dancers, fishermen, fortunetellers and more. The songs and stories on American Routes describe both the community origins of our music, musicians and cultures — the "roots" — and the many directions they take over time — the "routes."